Cowon JetAudio 8.1.0.2000 Plus VX | Free eBooks Download - EBOOKEE! Posted on 2013-09-13, by nobihai. 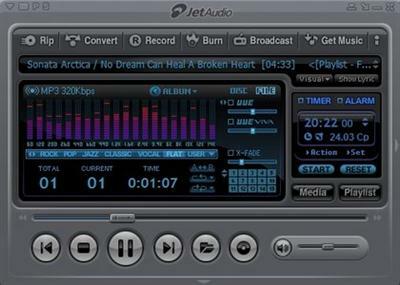 Cowon JetAudio 8.1.0.2000 Plus VX | 39.9 MB Cowon JetAudio is integrated multimedia software composed of a single compact rack. Not only does it play various music and video files, but it also has other features such as CD burning, recording, conversion to other file formats, and so on. In addition to these features, you have the ability to create your own Internet broadcasting by using JetCast, which is provided with JetAudio. No comments for "Cowon JetAudio 8.1.0.2000 Plus VX".